Are you stuck thinking of what to add to the wish list for your baby shower? 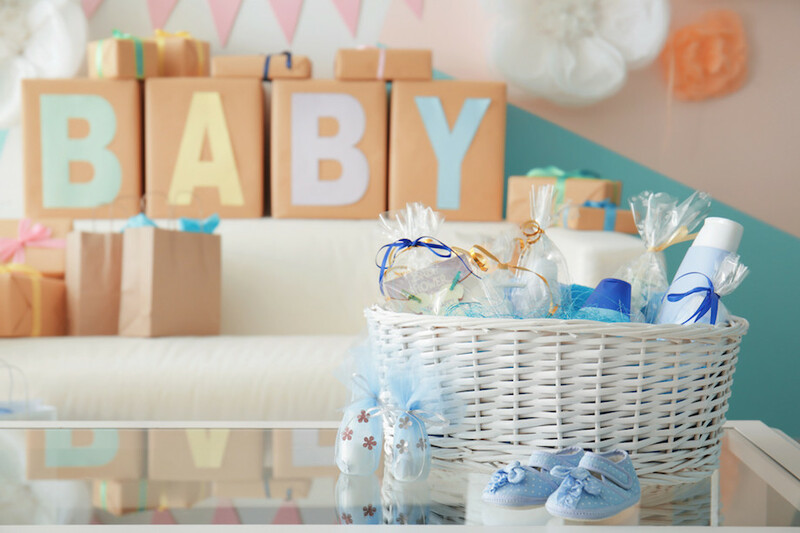 Check out our guide to the must-have items for your baby shower gift list. Congratulations! You're expecting a little bundle of joy. You're excited, delighted and... more than a little overwhelmed. Take one step in a baby store and you're instantly met with thousands of items to choose from. There's the stuff you need, the stuff you want and the contraptions you can't even figure out. Thankfully, you can get most of your gear through a baby shower. Not sure what to ask for? That's why we're here. Today, we're sharing all the essential items to include on your baby shower gift list. This way, you'll never have to wonder if you have everything you need. Ready to learn more? Let's go! As snuggly as she is, your newborn needs a bed to call her own. Start your registry by choosing a solid, safe cot. This isn't the place to cut corners or accept the first hand-me-down you come across. Rather, you want one that meets all the safety regulations set forth by the National Childbirth Trust (NCT). You'll also need a changing table and dresser to stash all the essentials. In many cases, you can find comprehensive sets that include all three of these items, packaged together. This way, you can make sure the finishes match and everything coordinates. Resist the urge to cover your newborn in baby blue jeans, precious as they may be. Those first few weeks are for simple, soft, cotton onesies with plenty of wiggle room. There's a reason that packs of these are a staple on baby shower gift lists around the world. You'll need a bevvy of them with all the spills, splashes and messes your tot will inevitably make. Ask for a few different sizes so you have enough on hand. For instance, request a few newborn ones, then ones for 3-6 months, 6-9 months and 12 months. You won't get out of the hospital parking lot without one, so it's wise to add a car seat to your baby registry list, as well. Again, while you may have offers from a slew of well-meaning acquaintances looking to pass theirs on to you, don't accept a used one blindly. It needs to be in-date and pass all safety requirements. UK law dictates that your child will need to be in a car set until she's 12 years old or 135cm tall. Make sure the one you choose meets the latest UN child seat safety standards. Go ahead and ask for a brand-new one to avoid any second-guessing. Even if you plan to primarily breastfeed, it's always helpful to keep a few baby bottles and extra formula in the cabinet. These are handy in those early days before your milk completely comes in and can make feeding on-the-go a breeze. They also enable your partner to help with those late-night feedings, which is always a plus! You may have to experiment to find which bottle and teat your baby prefers. Look for angled ones that can help prevent ear infections, gas and spit-ups, if possible. It can be exhausting holding your little one everywhere you go. If you have room on your registry, ask for a sling or wrap to help in this regard. Otherwise, make a pram or pushchair one of your priorities. While your wee one is still tiny, a pram allows him to lie on his back while you take care of the legwork. Once he's able to sit up on his own, a folding pushchair is a portable, upright option that can turn any parking lot into an adventure! This is a formative time in the life of your family. There is no shortage of decisions to make, things to consider and events to plan. Don't let your baby shower gift list add to your stress. This is one part of the journey that should be pure fun! Use our online wish list application to make the process easy. Create yours in minutes, then share with your family and friends in one click. Register today to get started. Then, take a deep breath and relax. You've got this! Ready to create your first wish list? Birthdays, Weddings, Baby showers, Christmas, or just a list of things you'd love? We've had a great year in 2018 and wanted to share some insights.